What should I do if I am worried or think I might have observed or suspect some illegal activity online? 1. Record – write down the website address where you saw or suspected the activity. Take a picture (use your smartphone) or screenshot of the site, link or email that spooked you. 2. Protect – Do not click on any dodgy links and if you have landed on a suspicious website then close your browser and clear your browser temporary files and history. Remember to run a virus checker afterwards and if really worried then pop the machine into our computer repair store. 3. Report It! – Depending on the type of illegal activity you should report it. Unsure of who to report it to? see the links at the bottom of this page for useful links. 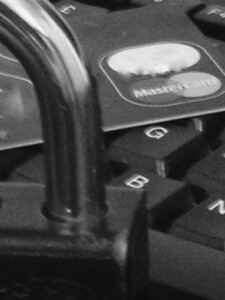 What should I do if I’ve been the victim of an online scam or fraud? 1. Record – Make a note of the website address of where the activity occurred. Take a picture or screenshot of the website, link or email that bothered you. If money was taken inform your bank or credit card company immediately and follow their instructions. keep a copy of any bank statements relating to any payments. 2. Report It! – This should be reported to Action Fraud (http://actionfraud.police.uk) so that they can look at it. 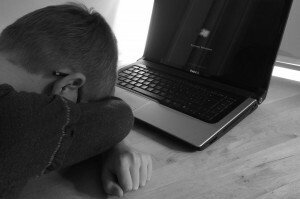 What should I do if I am a victim of a Webcam Blackmail message? How to avoid it happening to me. 1. Record – Make a note of the website address of where the suspected activity occurred. Take a picture or screenshot of the website, link or email that bothered you. 2. Protect – Do not click on any dodgy links and if you have landed on a suspicious website then close your browser and clear your browser temporary files and history. Remember to run a virus checker to afterwards and if really worried then pop the machine into our computer repair store. internet fraud and scams. Think about what benefit adding that ‘friend’ to your social media network gives you. If you don’t actually know them, how do you know they are real? Can you contact that person another way to check if it’s really them? Protect yourself – When posting on social media, consider turning off location services (this also saves battery life) so it’s harder for criminals to find out where you live. Think about whether you really need to post your home town online for strangers to see. Can your location information be used against you when you post online stating you are going on holiday or pictures of these brand new goods / products you’ve bought that might be desirable to criminals. Webcams and Video Chat – Consider covering your webcam when it is not in use. Should anyone attempt to remotely access your webcam, they won’t see anything you don’t want them to. Do you really know who you are chatting to? Think about whether you would behave in public in the same way you do via your webcam. Do not engage in any activities via your webcam that could be used against you as a source of blackmail or scam. Privacy – Ensure your privacy settings are set so that you minimise the amount of information passed to persons outside of your friendship sphere.